We often hear parents say, “It seems like kids are getting braces younger and younger these days?” What gives? It turns out that there are some specific conditions that warrant orthodontic treatment before all adult teeth are in. These conditions include crossbites, impacted teeth (usually canines), and in this particular case, top front teeth that are biting right on or behind bottom front teeth (“edge to edge” or underbite). 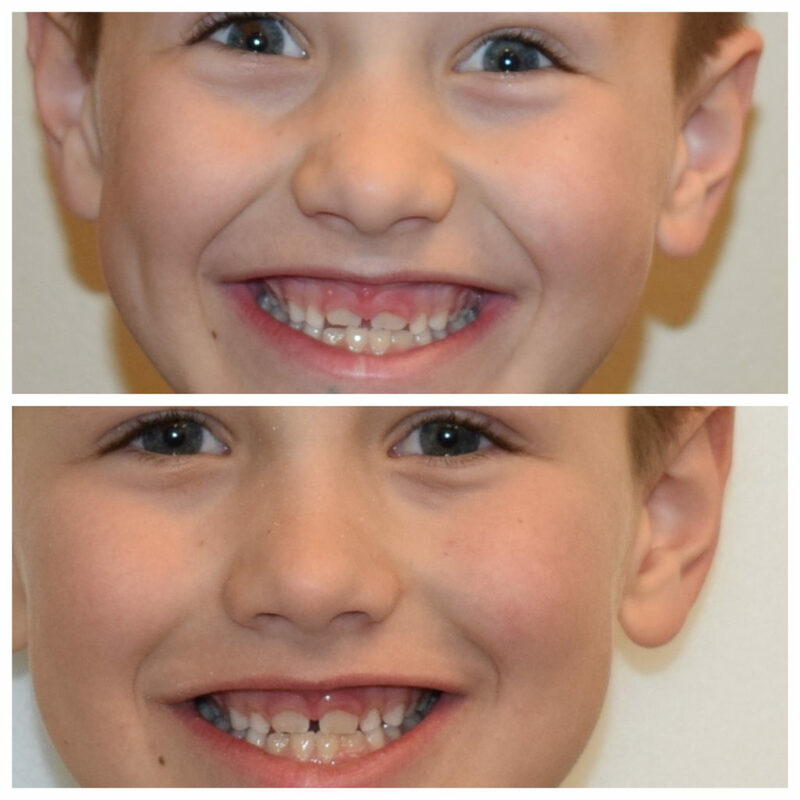 The top picture is the “before.” This boy’s adult teeth came in behind his baby teeth, and the baby teeth wouldn’t fall out on their own. After taking out the baby teeth, it became apparent that his adult teeth were too far behind. So, he got a few braces on his top teeth. Look at the difference only 9 days of braces made! Yes, it’s subtle, but very important! If those top teeth came in behind the bottom ones, they could have become trapped, requiring much longer treatment down the road. In only a few days, we got the teeth in the right place. Disaster averted.